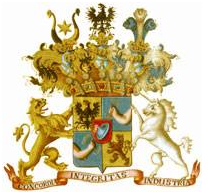 The uber fancy and formal bank formerly known as N.M. Rothschild & Sons, now better known simply as Rothschild, recently appointed its first non-Rothschild-named CEO in its more than two-century royal-blue-blooded history. Earlier this month, Baron David de Rothschild passed on day to day overseeing duties of his family's prestigious investment bank to a man named Nigel Higgins, a nearly three-decade veteran of the firm, which is well known and respected for its connections inside elite corporations and for its close relationships with deep-pocketed individuals across the planet. Though, Higgins himself, according to the , is less a relationship manager than he is an intelligent, no nonsense, cut through the B.S. clear thinking kind of guy. The move to mix in some outside blood into the decision-making at Rothschild, according to Baron David (now executive chairman of the firm), was a "natural and healthy one." It is also one that should spur, as Nigel Higgins has said, "new ideas about how you focus the business, get the best out of people, get the best out of the organization." Rothschild is very much a firm on the rise, both in terms of market share and prestige. Last year the firm leaped in Vault's annual banking prestige rankings, rising five notches to No. 10, cracking the top 10 for the first time since Vault began ranking banking employers. Respondents to our 2009 banking survey called Rothschild "a bankruptcy master" and "top-notch restructuring firm," adding that the "elite," "old-money focused" firm was "doing very well" and "picking up market share." With Rothschild, behind Nigel, looking to turn it up a notch here in the States (it has plans to hire two handfuls of senior bankers to beef up its North American practice) I would not be surprised if the bank rises another few notches in Vault's banking rankings this year (the survey which determines these rankings will be going out to top banks within the week).